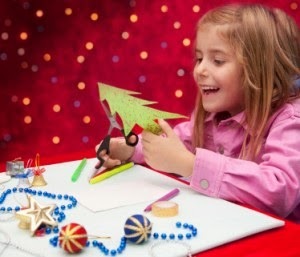 Little elves can experience themed decor, building challenges, scavenger hunts and much more! Santa Claus is an amazing jolly fellow. He seems to be everywhere during December! 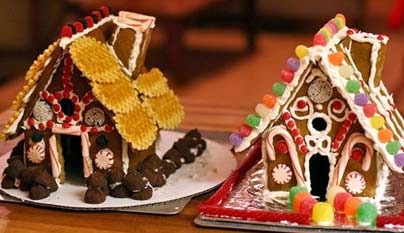 Gingerbread House Decorating for Kids of All Ages - Many dates available, check online. The program will provide provide the pre-assembled house, royal icing, and all the candies, and you have a blast decorating. All ages welcome. Children have a chance to sit on Santa’s knee, have their photo taken and the whole family can enjoy a pancake breakfast. Copy of the photo is included. Open to all ages. Limited seats available – book early! Chocolate! Rich, creamy, delectable delight! They will help your youngsters make a mouth-watering menu of Chocolate Chip Pancakes, Decadent Brownies, Whoopee Pies and Creamy Fudge. It’s a chocoholics dream come true! They’ll also enjoy some Hot Chocolate and Sliced Fruit while they prepare their chocolate treats! Dufferin & Steeles Real Canadian Superstore - Enjoy a three-hour cooking session accompanied by ooey-gooey s'mores pancakes, no-bake cheesecake, ice cream banana bread, and more! $20 per chef. Little archaeologists can learn what the world was 200 million years ago. Enjoy some hands on Chanukah activities at the library. Wychwood Public Library - Festive morning of songs and stories from the North Pole; for children ages 0-6. Free. 1431 Bathurst Street. Get an early start to the holiday season with The Nearly World Famous DuffleBag Theatre as they present this classic story with an interactive twist. Fun for everyone! Gerda and Kay are best friends, but they have an argument. Kay follows the Snow Queen to her Palace of Ice in the woods. Gerda must go rescue him - with the help of her friends a Reindeer and a Dove. Can love melt the Snow Queen's icy heart? Generations of children and "children at heart" have treasured this perennial favorite, the charming tale of holiday adventure that follows a little girl's journey through a fantasy world of fairies, princes, toy soldiers, and an army of mice. Free events, Various locations and time slots available, check website for additional information. Fees and times, as well as locations are available on the website provided below. A great free activity for children ages 4-12. Build a Sled with provided materials, using hammer and glue. Free Workshop, registration required. Kids will learn how to build a sled with easy to follow step-by-step instructions. Investigate how the human body's systems and organs work together as you follow a tomato on its journey to the biological blender of the stomach.